Professional email marketing from iContact helps businesses of all stages and sizes get results. From the small business just getting started to the professional marketer looking for strategies to maximize campaigns to the high-volume sender with 15,000 to 5 million+ subscribers, iContact offers a plan to meet every need. "iContcact is a great service!" "Good Tool for Your Business"
" iContact is the best consultant software for email marketing"
I do not like the design of the interface very much because it is very clear and I almost do not distinguish the buttons and the menus, however it is not a very alarming evil and they can improve it with a redesign. I hope it is soon because it is unfortunate that it can not be configured directly to our taste and pleasure. We want to boost our sales through the use of email marketing and get iContact, a very powerful tool when it comes to organizing, creating and managing our sales messages, information and answers to our customers. The advantage that we have obtained is that iContact's advisers stay at the forefront of the advancement of technology, in other words, they keep up to date and provide us with the information of said market updates. "A straightforward solution for simple email marketing"
The account portal is neatly designed and works well in most of the web browsers I use. I like that iContact is the type of service that takes care of all the heavy backend processes that comes along with signups and email blasts. There is a wide selection of professional and properly formatted email templates for us to choose from. We can edit email even further to suit our needs. It's nice to be able to duplicate previously sent emails for formatting use in new emails. I think the pricing for iContact's Pro Automation is a rather high. Though we can connect iContact to other platforms, integrating them can be somewhat complicated. To experience the full capabilities, it seems as though someone with some programming experience would be needed. I would recommend iContact for any business that wants a simple and powerful email newsletter solution. If used with proper targeting and marketing copy, iContact can be extremely valuable. 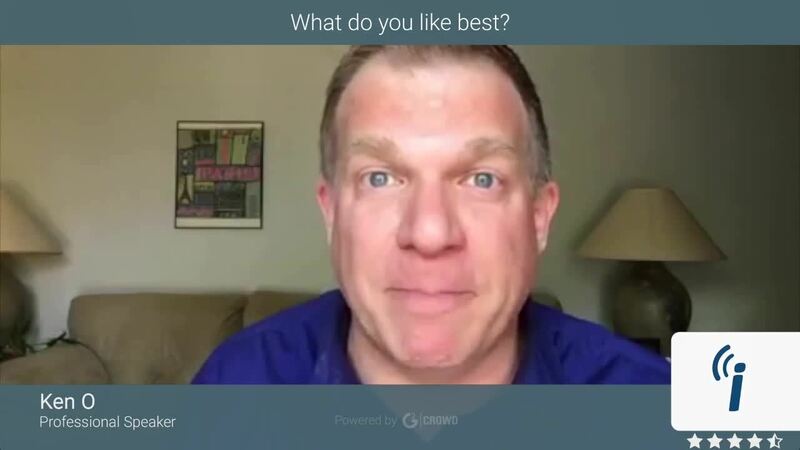 I think many other similar platforms offer just about the same features from what I can tell, so I think it comes down to your personal preferences about the functionality and interface. We've benefited from iContact's ability to automated contact signups and mass email distribution. We don't have to worry as much about SPAM and other email policies since iContact emails are generally formatted and distributed within most guidelines. We don't have to spend much time maintaining the system or checking in on technical and compatibility issues with various email clients. The iContact platform is a well-oiled system that allows us to focus more on creating quality content. "A Convenient Way to Stay in Touch with Mass Contacts"
It didn't take long for me to sign up with iContact and start adding contacts and creating emails. Using iContact is pretty straightforward if you can use common applications like email or social media. The menus and overall layout of iContact is nice and neat, which makes it easy to locate all of its various features. The email templates are professional and there are enough of them to help me get started with most of the common emails I send out. Though I can definitely track some activity and leverage contact data for other business purposes, there aren't as many built-in analytics features as I'd like. For the price, I'd expect to see a little bit more from iContact so that I can have a more complete understanding of how are emails are doing and the improvements we can make. I'd definitely suggest adding a sign up form on your website or other web assets like landing pages. You can make reference to the sign up forms from many places in both the physical and digital world. iContact has been a relatively inexpensive and effective solution for acquiring contact information and creating and sending out mass emails in a professional manner. It's been a great time saver since it automates many of the processes involved with email communications. We have received a respectable number of registrations for special events through our iContact email invitations. When people want to unsubscribe, iContact provides a means for contacts to unsubscribe on their own, which saves us time from having to manually manage our contact lists. "Valuable small business tool for email marketing and opt-in management"
I think the templates are very professional and easy to customize. I like being able to create newsletter signup forms that we can place on our website and link to from various places. It really helps to increase contact conversions and allows us to build a database of engaged contacts. iContact doesn't just offer tools, they provide resources to help us leverage the tools as effectively as we can. The support team at iContact is usually very friendly via email or phone and can help guide us through many issues quickly. Their website is a good resource for finding solutions to common problems. I really appreciate that iContact provides email tracking information. Though most email templates are easy to edit for simple adjustment, refining the designs in a very particular way can be complicated. We sometimes can't get the spacing exactly the way we want it. Organizing the various contact lists can be confusing at first. It takes some time to understand how to manage and leverage your lists efficiently. I don't like that there are limits to how many contacts we can store in some lists. I'd say that iContact is a solid and reasonably well-priced online marketing platform that can help you obtain leads and push newsletters more efficiently. It can help keep your company's emailing activities mass email policies and regulations, which could save you many possible headaches and legal problems. Overall, it's a pretty user-friendly platform and doesn't require any advanced technical knowledge to use. Since it's a cloud-based service, you'll be able to access iContact from just about anywhere. That can really help you to stay on top of things and check in regularly on account activities. We use iContact to acquire new contacts and send our periodical emails regarding our company activities, industry news, suggestion requests and promotional offers. It's been a simple way for us to manage users and email preferences. Automating the processes of registering new contacts and sending out emails saves us a great deal of time and has made our digital marketing activities more organized. "iContact - Email Marketing Solution"
iContact is a Web-based email marketing tool intended for organizations all things considered. This arrangement offers email configuration, list administration, battle administration and online life distributing inside a solitary arrangement. iContact highlights numerous adjustable email formats that assistance clients configuration content for their email crusades. Clients can likewise plan message conveyance by picking the correct labels from their email records. As of now formats support customers who are in the business advertise. This difficulties us to be innovative in adjusting an excellent layout from deals to occasion advancement. More formats for the non-benefit and religious customers would, honestly, be a blessing.The spell check highlight can be made strides. The procedure to keep up and scour mailing records isn't as evident as I would usually like. iContact is appropriate for sending and following interchanges, for example, bulletins and general correspondence, to different gatherings of people. The templates are anything but difficult to set up, and they will work with you to make altered templates. A key component of this arrangement is SpamCheck, which decreases the odds of emails being marked spam by browsing the email subject, HTML email and content email against an arrangement of principles subsequently enhancing the email deliverability. Easy to use interface and built in abilities allow fast creation and testing of emails. Reporting is great. Helpful staff and support. Our monthly calls really helped us stay on top of email trends and keep on track towards improving our open rates and click rates. Love the scheduling ability. Love the A/B testing abilities the platform has. Multiple folders makes for easy breakout of work between employees at the company. List management features are easy to use and manage. Support is responsive and helpful - helped with issues right away and that is always a very good thing, especially when we are pushed for a deadline. Would like a little more flexibility with the interface, and more built in features with customization options. Would like ability to edit the footer on the emails within the platform - currently we can edit this only if we speak with our iContact adviser. Overall, a superior email marketing platform. Great platform and great/helpful advisers. Platform allows you to schedule emails, manage lists, review stats on openers, bounce rates, clicks, urls clicked, and more. We have been working with iContact for the past couple years to improve our email marketing campaigns and sender reputation. Our iContact advisers have helped us improve our open rates, inbox placement, email design, and more over these years. The iContact advisers have always been very knowledgeable about email trends, best practices and inbox placement. We felt like we were in good hands with the company. 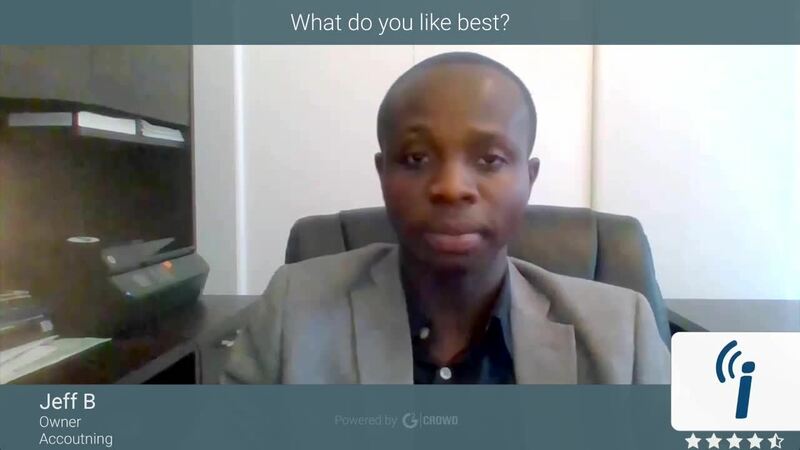 "I love using iContact for customer service and support"
I chose iContact first because they are local to my home office . I have stayed with them because of their excellent customer service. Every question I have related to my email marketing is always answered thoroughly and politely. I appreciate the time they have taken to troubleshoot minor technical issues. Continued training for small business owners is alway a huge plus when working with iContact. I have attended classes in person ( big plus for being local) and online which have helped me as a sole entrepreneur. I wish that iContact could be linked to some of my other platforms, such as my CRM and events platforms. iContact has helped me stay in touch with current customers with promotions and up to date information. iContact has allowed me to set up autoresponders that guide my customers through paid lifestyle programs. Emails are the most responsive methods for communicating current sales, events and notices to a large group. When we send a mass email, we see results immediately. I like the ease of use to design and set-up an email, and the personal attention from my account representative who often outlines strategies with my contact list to help on deliverability. Sometimes have issues with our media 'storage' that doesn't appear accurate. Wish I understood better how to reach the people who are listed on the dashboard results as 'NO INFORMATION'. Don't like the alternating IP addresses as I'm unable to ask our local email service to whitelist our email IP (since it has numerous IP addresses that might be utilized by other advertisers). iContact emails allow us to communicate sales, promotions, services, benefits and safety information quickly and to a large crows. Results are noticed immediately by the phone calls we receive. "Newsletter for PA/NJ Chapter of the College Reading and Learning Association"
Ease of use is one of the reasons that I truly enjoy working with iContact. Prior to using this software, we were using Publisher to build our newsletters. iContact allows us to send out professional looking emails within minutes. Since the update there is not much to complain about. At one point, I did try to make an appointment to meet virtually with our Customer Success Manager and we were not able to connect due to tech issues. I was disappointed that after this event, he did not attempt to reach out to me again to resolve the issues that we were having and to walk us through the new features of the software. However, I was able to resolve our issues through the Live Chat, which I have used quite a few times very successfully. Another small issue I have found is being able to download contact lists to Excel. It is one of the few non-user friendly aspects to iContact as it seems to be quite hidden. A more obvious download button would be greatly appreciated. "iContact is great for email marketing"
I like that iContact is easy and manageable to use. I can easy navigate my way around the website as well. Creating an email is easy as well and it allows you to create a nice format. I think there should be more features when it comes to editing emails. Sometimes I found it quite difficult to use certain editing tools, and at first it was a little confusing. I haven't been having any business problems with iContact. Its beneficial to me because I am able to send mass emails to a large quantity of people in a matter of seconds, which is partly what my job is. It is a very professional tool and I would definitely recommend to others that they should use it for their businesses as well. "Great for getting repeat business!" I like using iContact because each week, I upload our new customers into the database in which they will receive our email promotions. This is almost effortless as I can easily schedule who and when I want the emails sent to. It creates us A LOT of repeat business. I wish I could clear out the sent folder and sometimes I have to resize images when they are too large. It would be so much more convenient if we could automatically resize images to fit the area and that are within the size requirements. This helps us increase our repeat business. Once you set up the email templates, anyone in your office should be able to use it with ease! "Awesome design interface and incredibly friendly staff"
I've been using iContact for a little over a year now and any time I have a question, Bill is always quick with a helpful answer. Since their interface update, putting together good-looking emails has been a snap. I love the email signup box they have for me to put on my website too! I wish sorting lists of email recipients was easier, so I could on a whim send an email to only people in a certain area or only people in a certain line of business. It is possible, but it's not quite as user friendly as I would prefer. iContact has allowed us to keep in touch with customers and potential customers that we might otherwise not have a reason to contact. As a new business, it's really important for us to keep our name at the front of our customers' minds and this is an easy way for us to do that. We're pleased to hear that you have been utilizing our sign-up forms on your website! That's an excellent way to get new potential customers on your radar, and be able to communicate with them automatically through iContact. Thank you for your feedback about sorting lists of contacts. Fortunately we are already working to make this process easier by re-designing our Contacts pages. Be on the look out for upcoming changes! "Easy to use - easy to review and understand results"
I created a custom template for our company and really like being able to use that template and modify it to make copy changes each month. I also like the very simple-to-understand analytics which let me know how many people are using our newsletter. Although I have gotten comfortable with creating my own templates, I wish there were more template options related to manufacturing, I would love to find a template that I could just “fill in the blanks”. Occasionally I need to send out an email that is not connected to our online newsletter, and it would be nice if I had a good option for that. Price is reasonable, use is very user friendly. We have different lists that we need to send certain emails to, it is so easy to upload a list and save it for future mailings. Having the analytics available on the Dashboard is a huge help, I was able to discover that one of our salespeople was not receiving our emails, so he never knew what the specials were or what information we were putting out there. It's excellent to hear that you are utilizing iContact to create and save your own custom template! Having your custom template available during message creation can be a huge time saver, and brands your company with a consistent look and feel for your contacts. Thank you for your feedback about including more manufacturing related templates. We continue to add additional template options and are happy to take your comments into account for a future release. "iContact keeps guests in touch with our small art gallery." We use iContact monthly to reach over 5000 gallery guests and keep them informed of upcoming exhibitions and events. Once we developed our template, it is easy and very user-friendly to make changes and update our mailings. The recent improvements to the system make keeping our subscriber list up-to-date. Customer support is always responsive and we appreciate the suggestions for keeping our mailings relevant. Sometimes we find the template a bit glitchy to work with, and we have gotten feedback from subscribers that there are inconsistencies between desktop and mobile platforms as to how our newsletter appears but nothing that has been a concern of significance. This is an effective communication tool for a small business. Our mailings reach gallery guests and followers nation-wide and it is the most effective way we keep in touch. We have completed some direct sales of artwork simply because someone read our newsletter. Hello, and thank you for your review! It's excellent to hear that you are able to quickly and easily communicate with your contacts using a template you customized. Not only are custom templates time-savers, but they also ensure that your brand is professional and consistent for your contacts. We also appreciate your feedback regarding inconsistencies between mobile and desktop platforms. Our templates are made to be mobile responsive, so there will be some changes depending on what platform they are being viewed on. To get a better idea of what your contacts will see, you can click on the desktop and mobile images under the Preview button at the top of the message creation page. The platform is super user friendly and flexible making email marketing less cumbersome and reducing the amount of time we have to spend creating, deploying, and tracking the results from our campaigns. I've been using the iContact platform for two of our brands for over 8 years and haven't found anything that I've disliked. Over the years there are a lot of new features being added. Half the time I don't know what they are but our Rep. is always checking in and explaining them. If you are looking for an email marketing solution, give them a try. If I recall, they have several plans and free trials available. The sales and support team are helpful and not super pushy so it won't be a bombardment if you are in the exploration phase in terms of using their product. As an education provider, we need to communicate both sales and service oriented email messages to our students. The iContact platform has enabled us to create awareness and generate leads on products, but also provide notifications that our student/customer base need to know about. I love their analytics on the emails sent. It is helpful to see what emails do best, and how we can improve. The template are very easy to use and very versatile. It has been interesting to see how the analytics change based on the content and what it is that gets them to sign up to receive our emails. Plus, it give me something to report back and justify the cost of using the program. I wish there was better social media integration. There is basic integration for a few of the social media sites, but I would like it to be able to do so much more. I would like to see some kind of integration with snapchat and instagram, as well as better integration with Linked in Business pages. It would also be great if we could send out mailers, making icontact a one stop shop. We use iContact to send out our monthly newsletter to our email contacts. We also send out various reminders, coupons, and advertising to our various newsletter lists. It has been very helpful in reaching out to our fans, especially those who don't use social media. It is excellent for Business to Business mass emails as well. Newsletter sign up is very simple and it is very easy to get set up. Once you get going you can save templates, use theirs, or even reuse an email previously used. "Have been using iContact ever since I started working for the Texas Department of Agriculture in '13"
Super easy to use, intuitive tools, layout, etc. #1 probably the ability to do live chats with tech folks. Helps solve problems in minutes! The price is a little steep. I understand that providing all the services costs money, but I wish it was more affordable. It's a good thing that I don't run the agency and make the purchasing decisions! I might lean towards a cheaper solution. If I could change something, I would add a width-changing feature to the blocks and sections. On one hand, it's nice to have the stability of a locked-in width, but a dragging-with-mouse way to re-size the blocks would be convenient. I have recommended this product to others, who have joined our team, as well as other business owners outside of the agency. It's super easy to use and the availability to chat live (immediately) with customer service is a super service. You can't beat the customer service! Communicating with our members and promoting the GO TEXAN program with our friends and followers. I have used several e-marketing apps over the past ten years and none come close to the intuitive and user friendly iContact system. From contact management and segmentation to developing e-mail templates and implementing campaigns, the process is a breeze with iContact. I have no complaints. One complaint I used to have was trying to schedule emails from GMT to EST (simple, I know), but this was sorted in the last year and I'm more than happy now. Whether you're an expert or a beginner, iContact is an all round, economical application for e-marketing. We are able to reach out to our global customer base with company news and product announcements quickly and easily using iContact. One challenge that we face is the prospect of the EU GDPR regulations which take effect on May 25, 2018. This could impact our ability to reach current and prospective targets/audience directly. We are so happy to hear that you find iContact to be user friendly and intuitive. Our goal is to ensure new users can quickly learn how to create professional emails. We're also glad we could make your experience even better by sorting out time zones! "Ideal provider for a small non-profit like ours"
We send out a weekly newsletter for our small non-profit tango community, and use iContact to manage subscriptions and keep an archive of our newsletters and images. It is easy to re-use the template from week to week, and keep track of those who receive the mailing. We can track how many people receive the mailing as well as how many actually open it. You cannot sort your saved images in folders or any other way to find what you want quickly. If you have questions. the support staff is quick and very helpful. They have resolved every question or issue I have ever had. Since we aren't really a "business" but a non-profit, our problems are always small. We do attract people to our tango venue and keep a mailing that includes out of towners who like to know what is going on in our city before they visit. "iContact is an excellent tool and resource for our organization's email marketing"
We are consistently impressed with the customer support they provide. 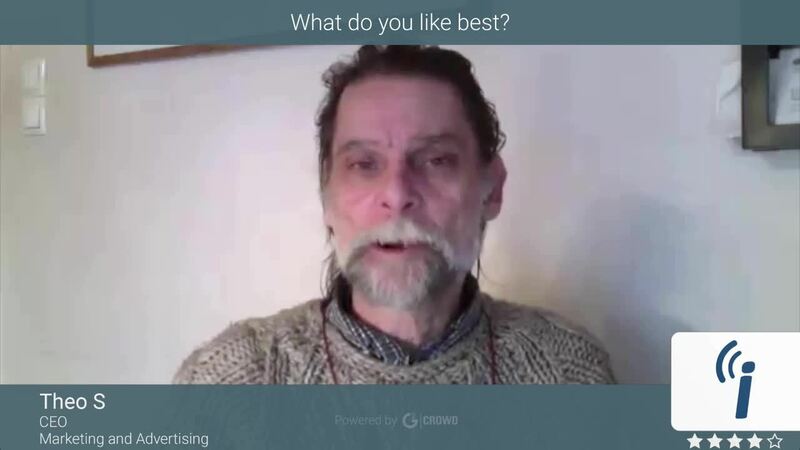 Our strategic adviser, Peter is always sharing the latest industry best practices and pushing us to take our email marketing to the next level. He serves as a valuable consultant around our email strategy and is always ready to help with a new project. Our monthly check-ins with him are critical to our success in email marketing. The technical support is also very responsive to our needs and there to help with any issues we experience. Occasionally there are glitches in the platform that make it tricky to get the email to show up the way you want it to when it is sent. Occasionally it will show up different in different email platforms and the trouble-shooting around this can be tricky. Luckily the iContact team is very responsive and ready to help. I also wish it had more abilities to track e-commerce resulting from our emails. I would recommend them as a great tool and resource for the price. Within our organization there are many different programs using this to communicate with their constituents. Whether it is an E-news for volunteers, our monthly E-new to 10K subscribers or our data-driven, carefully segmented email fundraising program, iContact has been a great tool. It helps us reach more people with the right information that is relevant to them. With this tool we have been able to grow and maintain a healthy email list and launch a successful new digital fundraising program. "Great support, easy to use tools"
We love working with iContact, our rep is always mentioning areas we can improve and suggesting new ways for us to think about our content. It's great to have someone with experience looking out for our new team. Anytime we have questions, the iContact team is available and ready with not only helpful answers but suggestions for ways to improve future sends and email construction. The API has been simple to use and allows us to get all of the data from the emails into a digestable format that we can combine with sends from another platform. Not much about the tool is unlikeable, we would love to customize the footers and have the unsubscribe go to our global system directly, but we've found ways to make it work smoothly for our organization. We've been able to work with the API very easily to ingest the data we need to enhance the user customization and personalization within all of our email sends. Definitely meet with them to see if their product fits your needs. Worth a look. We use their team to help improve our email performance, send to lists of users that are not already in our CRM and engage with our B2B teams. We've seen improvements in our overall deliverability since working with the iContact team and listening to their recommendations. Once we began using their tools more effectively and changing our methods for developing emails, we've seen open and clicks rates both improve. "I-Contact is the email marketing platform for us"
We had used I-Contact in the past for about 10 years with great success and satisfaction when our company in 2013 decided to change over to another provider. We have given this provider a chance, but a variety of issues, poor support and ineffective training have resulted in us moving back to I-contact since the beginning of 2016. And what a pleasure this has been. We receive Account Management support on a monthly basis, we can submit design projects and we are being listened to and given sound advice. I for one am very pleased with being back at I-contact and I look forward to working with them for many years to come! Really based on my experience with I-contact there is nothing I dislike about the program, or the approach from the I-contact team. We are trying to run a variety of email marketing campaigns and by using I-contact we get expert advice on the creation of templates, sign up forms and other useful tips and hints. "iContact Allows our Business to Succeed"
Our strategic advisor is really kind, funny, and very helpful when it comes to our email marketing needs. He makes great suggestions about subject lines, content, and even the best day to send out our email with historically proven high open rates per our account history. The system is easy to use! We can include and exclude lists to send an email to, schedule it in advance and forget about it. We're also able to see the history of a contact - what the open and how many times. Their clicks, etc. This makes it so we can send to people who open our emails making sure we don't get blocked by the major email providers. The new system can be a bit clunky. I know they're still ironing out some kinks in the new system but for now some things are annoying and buggy. But at least we're able to send. I also wish you could batch delete your lists you create as well. A lot of advantages and customization to using iContact to work your email list. They're always there if you need help or suggestions. They can even help write your email. Good organization of your list and list hygiene as well. We have been able to succeed at email marketing with iContact. Our emails don't get block by major service providers because through iContact we have been able to only send to people who open our emails so we don't get marked as spam. Our open rates have increased and complaints gone down. We still see the same amount of response or even more through doing this! "Middle of the road solution"
It gets the job done. If you're looking for 'just the basics', iContact is right for you. It does what you need it do, but lacks the bells and whistles other platforms offer. There are some real areas of opportunity for iContact. From a design perspective, it's difficult and cumbersome to design emails if you're not a graphic designer (not easy to plug-and-play). List management is not intuitive or easy to manage (compared with other platforms). Analytics for delivery are less than industry average, which may indicate that it's getting stuck in pesky spam filters. It gets the job done. Not as easily as you may like. Not as quickly as you may like (the learning curve is a bit steep). List management is not easy to slice and dice, but it's doable. In short: iContact absolutely gets you there, but won't be the slickest, fastest, most streamlined way to go about it. Event invitation, firmwide promotion and news, email campaigns, etc. "An Excelent solution for Marketing"
It has a great feature that lets you see the data from the past (shares, clicks, etc) and compare it with the current data. It is perfect for making analysis and choosing or modifying a strategy. The UI is very nice and it is incredibly how easy it is to use. Besides, it comes with Salesforce integration, allowing us to have a general perspective on the Salesforce profile. Lastly, iContact offer a huge amount of storage for pictures, files and images, compared to the space offer by any email provider. I would say their documentation isn’t very good, as they usually don’t specify certain aspects of deep usage. However, all questions you may have can be answered on online forums and blogs. Suited for everyone, as it is a lot easier to use than other related platforms, iContact is a great tool for modern companies, requiring campaigns of mass email on a simple way. However, if you already have some experience on this field, you may want to switch to complex similar platforms. iContact is use by me and a couple of members of the Marketing department in charge of the email marketing campaigns. We use it to order our contacts and send all the relevant information about the products, newsletter and offers for our company. ""Great Tool for Your Business""
I think the layouts are proficient and simple to modify. I like having the capacity to make bulletin information exchange frames that we can put on our site and connection to from different spots. It truly expands contact transformations and enables us to manufacture a database of connected contacts. iContact doesn't simply offer apparatuses, they give assets to enable us to use the instruments as successfully as possible. The help group at iContact is generally in all respects agreeable by means of email or telephone and can help control us through numerous issues rapidly. Their site is a decent asset for discovering answers for normal issues. I truly value that iContact gives email following data. In spite of the fact that most email formats are anything but difficult to alter for basic alteration, refining the plans in an exceptionally specific manner can be convoluted. We once in a while can't get the dividing precisely the manner in which we need it. Sorting out the different contact records can be confounding at first. It requires some investment to see how to oversee and use your rundowns productively. I don't care for that there are breaking points to what number of contacts we can store in certain rundowns. I'd state that iContact is a strong and sensibly all around valued web based showcasing stage that can enable you to acquire leads and push pamphlets all the more proficiently. It can help stay with your's messaging exercises mass email strategies and guidelines, which could spare you numerous conceivable migraines and legitimate issues. Generally speaking, it's a pretty easy to understand stage and doesn't require any propelled specialized information to utilize. Since it's a cloud-based administration, you'll have the capacity to get to iContact from pretty much anyplace. That can truly assist you with staying in control and check in routinely on record exercises. We use iContact to get new contacts and send our periodical messages with respect to our organization exercises, industry news, proposal demands and limited time offers. It's been a basic route for us to oversee clients and email inclinations. Robotizing the procedures of enlisting new contacts and conveying messages spares us a lot of time and has made our computerized advertising exercises progressively sorted out. The HTML builder is very helpful for those who have very basic coding experience. It easy to teach new users how to onboard and use. As we use student help, ease of use is very important. The lists and groups can be confusing.The directions for when you should use one over the other was not clear. My one issue with the HTML builder was if you toggled between the graphic and HTML code view, the system would hang up and you would have to shut down and log back in. Able to send out mass emails. The unsubscribe feature allows us to not anger our alumni base by not contacting those who don't want to hear from us. The bounce-backs shows us what emails we need to update. We can also group by major, class, etc. "Great tool for marketing your product or service"
The design templates are very easy on the eyes and easy to modify. It has helped us to increase conversions and we have been able to compile a big database of potential customers. iContact offers great tools, and they provide excellent customer support. The team at iContact is usually very quick to respond via email and help us through many issues we have encountered. The best part is obviously the email tracking information. Email templates are pretty easy to modify for simple changes, but if making larger changes to the design, it can get messy and frustrating. We sometimes can't get the look we want and have had to outsource some professional help. In general the software can take some time to get the hang of but once that's done its all smooth sailing! We are using iContact to email new contacts and send our promotional emails with specials and new products we have coming. It's been a very easy method for us to email preferences and new and old customers. It automates the processes of adding new contacts and sending out mass emails... This saves us so much time and money!! "Stellar drag & drop editing"
I've worked with several email newsletter marketing programs during my time in media and iContact is hands-down my favorite thus far. The drag & drop editor makes shuffling around content easy and better yet, the templates automatically reformat for optimized mobile consumption. The emails look great on both desktop and mobile devices and we're not even spending additional time preparing that optimized mobile format. Our strategic advisor is also very responsive when we need assistance and offers a lot of insight into the analytics and trends of our databases. The only thing I wish we had was direct 2-way communication between our business website member databases and the iContact lists for synchronized newsletter opt-in status. Subscriptions get communicated from our website to iContact, but unsubscribes from the emails sent by iContact do not get communicated back to the member profile on our website. Definitely look into trying out iContact. They are serious about what they do and know what you need to make your email marketing a success. The biggest problem we're solving is time spent on producing emails. We send a lot of various emails to our multiple website databases (including various sub-groups within each website database) and we can't afford to spend tons of time producing these emails when there are so many other production tasks we need to fulfill. Building emails used to be one of the more time-consuming projects we deal with. They are taken care of much faster now that we have the simple-to-use email builder. "Solid automated tools for managing basic email marketing campaigns"
iContact has a neat overall user interface that makes it easy for me and most of my team members to use. There isn't anything overly technical or complicated about the tools and functionality of iContact. It's great that we can import contacts from other sources such as event signups, phone calls and face-to-face meetings. We can simply load a spreadsheet with our contacts into iContact and have them added to our emailing lists. The mass emailing feature is great for not having to send emails individually or using email services that have restricted sending capacity. The design templates for the emails are professional with many suitable options for most of our emails. iContact has a bit of a small business feel to it that might not work as well for some types of emails we send out. Integrating it with some other software doesn't always happen smoothly, especially with more advanced CRM and sales-related software. Other than that, I don't dislike much. For the price, iContact is a solid value for basic digital marketing. You can use it for your own company or to help your clients with their marketing. One of the most valuable tools is the sign-up form feature, which allows you to add forms to your website and other web pages like landing pages. It's a great way to automate the opt-in process and generate new leads at all hours of the day. We've been able to capture leads online in an automated fashion with iContact. We can also import leads from other sources so we can manage all of our contacts in one place. The emailing functionality has been great for sending newsletters, notifications and promotional emails. SPAM policies and best email practices are something that would be hard to adhere to without software like iContact. We can rely on iContact to format and deliver bulk emails as efficiently as possible. We haven't had any major delivery or SPAM problems. "Great Email solution, with drawbacks"
The ROI on this solution is easy to attain. The cost structure of their program is very straightforward and lends itself to a larger volume that hasn't quite hit enterprise level. The templates available are quite limited. However, with a few trained associated in HTML creation, this becomes a non issue. There is also a very limited asset upload available without additional cost which is a shame. If you are willing to do a little additional work with your email solution, iContact can definitely be a good fit for your company. The lower cost allows for a quicker ROI and can allow for additional deployments. Creating a program to continuously keep our products and brands in front of our customers. IContact makes this process clean and quick. Reporting allows for A/B testing with virtually real time responses on open rate down to the user level. "iContact allows me to engage members and others to get information out fast!" I like the ease of selecting all or just some contact lists for individualized messages. Formatting is easy, and you can switch seamlessly between HTML and Design mode while working on your message. Customer service has always been very responsive anytime I have had a problem or question. My biggest complaint has been fixed (the ability to select all lists at once when applicable), so I have no dislikes to offer! The one thing I wish I could do is edit images within the document if the sizing is not quite right, but for now, I edit outside the application and hope it works when inserted. Try it. Put it through its paces. You will like what you see! Rapid and systemic communication across a broad spectrum of recipients, and we are getting better responses from our contacts. I really liked the built-in themes that were available to choose from when creating an email, as well as the option to import my email from a URL. I also found their performance reviews and charts to be really helpful when looking at the results of a deployment. I didn't really like how iContact setup their contacts section and how their segmentation of the contacts worked -- I found it a bit awkward compared to other apps I've used. Depending on how much access and how many options you'd like to have for your CRM, you might want to look into all the similar available apps online and decide if iContact has enough options for your needs. iContact was great at first at allowing us to create and deploy emails for our clients, but over time, it seemed limited compared to other apps that were online (it seems it might have changed again since we originally used it, so perhaps they updated & improved things). "icontact has mail mailings easy for our office"
We create multiple lists for newsletters. icontact is user friendly, provides support when we have any issue, and is more affordable and reliable than its competitors. we dislike the image file limitations. We wish more space was provided in each package. We have and will continue to recommend icontact to others. It helps us organize contacts, easily create and edit lists, manage templates, build newsletters and send with ease. We are creating newsletters and managing multiple listserves. icontact has many options and a interface that is more user-friendly than its competitors. We also love supporting a NC company since we are the UNC office of Innovation, Entrepreneurship and Economic Development and work mostly with UNC students and alumni with ideas or startups. We are so happy that you find iContact both easy to use and affordable. We want to ensure businesses of all sizes get the most out of their budget with email marketing. Thank you for the feedback about the image file limitations. I am happy to share this with our Product Management team so that it can be further reviewed for possible updates. I like the ability to send mass information out to my contacts. It is nice to be able to import an entire spreadsheet of contacts and send out advertisements and upcoming events to my entire list of customers. The user interface is very clunky and hard to use. It is also difficult with limited customization. There are some templates but I never feel like I have the freedom to truly customize everything I want to. The designs are hard to look at and tough to use. I would recommend using a different platform unless you aren't interested in truly having a nice clean look to your advertising. It is beneficial because I am able to take my entire list of contacts and send events and information directly in their inbox to inform them of what is coming up. It makes advertising a little more personal and allows us to reach them directly. It is very easy to use and find your past emails. Easy email deliverability and Easy email responses and Easy email preview. Easy sending out emails. Easy to manage email lists. Easy building emails and easy importing photos and easy personalizing emails. Easy user friendly! You can see bounce backs. You can see who opened your email. You can attach other Social media sites. iContact sends your emails also to like Facebook and Twitter and LinkedIn, the same time as the Client emails! Awesome product! I love on the Home (first page) they give you icontact news to help you with customer service tips! I do not dislike anything about icontact. I love icontact! It is user friendly! I like easy to use and it is easy to use! The problems I solve is I can put all my clients in one place and icontact sends out whatever email I need at whatever time & day, I want. Easy to import my clients emails and also I can put in all their business information like address, phone number, etc. You can pick and choose different Lists to send different emails to. Love that the Home page, the first page tells you your Most recent email, how many people the email was sent to, how many people clicked on it, how many people opened your email. Tells you your Image library, messages sent, subscriber count, Facebook, Twitter & LinkedIn! Very easy to use. Thank you! "Great Emailer for the Best Price"
The amount of folks I can email for the price. The template can be difficult and limited. I think iContact really needs to figure out the posting to social media, particularly Facebook, and having an image available. I've been told it's something that Facebook isn't allowing, however, when I take the Archived URL and put that into the Facebook, I can add multiple images and a caption and be totally fine. It seems that that process should be able to happen through the distributing process. Speaking with a mass amount of clients every week and staying relevant. The benefits are vast when you're constantly getting to keep in touch with clients. It's sparked referrals, follow ups, new business, etc. It's fantastic that you are able to email all of the folks you like at a reasonable price! We truly care about our customers, and do not want to overcharge for the services we offer. Thank you for your comments about posting images on Facebook. It is something that we are no longer capable of doing from within iContact since Facebook's recent update. However, I am happy to forward this feedback along so that we can look into other possible options for accomplishing this. "IContact has always been a great source for our company!" The one thing I dislike is the storage issue. I keep getting notifications that my iContact directory is almost full so I have to manually go into old email distribution lists and delete each one. I wish old distribution lists would just expire and go away. iContact helps us send out well-formatted invites, evites and notifications to a wide group of people. It is a great resource for us. The greatest thing about Icontact is that you're able to create newsletters easily with decent templates they provide and track the interaction your emails recieve from your customers. Having those analytics helps us as a small business know what our customer demographic best responds to and are interested in. There isn't a lot to dislike about the program, however, sometimes the newsletter builder will have issue loading pictures you upload and may take more than one attempt to upload them. Were able to know if our customers got our email. We used to mail out newsletters physically, and never know if they arrived with our customers, now Icontact gives you stats on the emails you've sent. It is excellent that you are fully using the analytics that iContact offers. With the ability to see how engaged your contacts were across multiple messages, you can better customize future communications. Thank you for your comments about pictures not always uploading on the first attempt. The good news is that we have been making some improvements related to the image library. Hopefully these will fix the issue, but I'm also happy to pass this along to our Product Management team for possible updates. I love the templates when I'm in a hurry and want it to look it's best. I also appreciate that I can reach someone on a live chat when I need them. It isn't as user friendly as it could be and I can't use bullets that I want. I would like more holiday images and backgrounds for Christmas especially. I'd rather it be a little wider than long so I can fit it to a letter size page if I need to. It's a new way to send information to your clients and very reliable without the headaches of going through a commercial printer. It saves our company time and money so I can get done what I need to and move on to other responsibilities. We're happy that you enjoy working with our templates. We want to take as much of the work as possible out of creating professional emails to send to your contacts. Thank you for your feedback about bullets and images. The good news is that we are working on adding a library of stock images to accounts. This will give you access to hundreds of additional image options to choose from! "A Flexible and Powerful Tool for Marketing and Outreach"
"iContact is a very user-friendly and simple email distribution tool"
iContact has professional and easy-to-use templates, which is great for marketers who are not as comfortable creating email designs. I also like the ease of use for uploading images and incorporating digital media such as videos and other assets. I enjoy using the email scheduling tools to schedule emails in advance. My main challenge with iContact is that the design interface does not mirror what the final email looks like in Outlook, Gmail, etc. For example, special font types or design elements often do not crossover to the final email which is disappointing. iContact helps my organization continusouly communicate with our membership and stakeholders in a professional, engaging format. It allows us to segment our lists and audiences, and also provide communications on a regular basis at times that are most amenable to various international time zones. The ease at which I can design a spectacular looking e-mail while at the same time keeping track of all of our different contacts in one place. Switching between HTML and their "easy use" design form is a breeze, depending on what I need to do. Being able to test send the e-mail and check to see if it may be recognized as "spam" is a great feature. The customized e-mail sign-up form can be finicky at times and doesn't always cooperate with our website. Great platform - easy to use and worthwhile. We're reaching more customers more consistently. Getting easily designed great e-mails out on a regular basis has grown our customer base which has lead to more sign-ups, more opens, and more sales overall. "The most efficient email platform I have used!" I like all the responsive templates, and over-all user experience. There are some glitches when you enter your own HTML code, but with basic troubleshooting it's not too bad. If you are looking for a email development software to try choose iContact. They have a huge selection of great responsive templates to choose from. You don't have to be technical, but if you decide to develop your own code there are options for that too. My company have been using iContact for more than 5 years with no problems... I believe you will say that same after trying them. The business problems iContact solves for my company is email development efficiency and appeal. The biggest benefit would have to be analytics and AB testing options. iContact is simple to use. I use it for all my clients and personal needs. I have had to use ConstantContact and MailChimp for certain clients and that is why I only use and suggest iContact as a mailing program. With iContact you can click all your mailing lists and send one email out to all and it won't dup the email. With MailChimp you can only send to one mailing list at a time, so if customers overlap you are going to send duplicates which cause people to unsubscribe. Customer service is excellent. I just call them with any questions. I have certain clients who are very illiterate on the computer, but they are able to figure it out. Of course it would be nice if it were free like MailChimp but that is just a silly dislike I am writing because this says I must write something that I dislike. MailChimp does offer an automatic re-sizing of photos instead of having to size them small before uploading. That would be nice. You can always get excellent support from iContact, so just call them if you need anything. Before using iContact I tried to send emails to large numbers of people. Using iContact has allowed me to send millions of emails over the past 10? years. I tell all my clients to use iContact in order to take care of their marketing needs. It has made me look good to the clients that I have sent to iContact. "An efficient well designed e mail marketing service"
I have been using iContact for a number of years now. As I am not trained in computer design I needed a program that was relatively easy to work with. iContact has provided this for me, and I am pleased to say, from customer feed back the regular e mails I send are well received and admired. The recent revisions to the design platform have made a marked improvement in the finished look and have made it so much easier to work with. The functionality of the list management and data collection has enabled our business to continue with steady growth. I have recommended iContact to a number of fellow business owners and will continue to do so. Like all computerised software sometimes they don't always function as planned. On occasion I see a message "something went wrong" and the and progress is halted for a short time. Regular promotion to our customer base, resulting in a regular steady flow of walk in and on line customer purchases. "Allows us to Efficiently Relay Time-Sensitive Information"
I enjoy using iContact for mass emails to our customers and employees. It's important to relay information about our business and iContact allows us to do that without the messages getting flagged as spam. I appreciate the reports for the emails I send. Having this data makes it easy to present to the team and executives when needed. I also appreciate the scheduling feature which allows us to send information out any time of day. I am not a fan of the new layout within iContact nor the fact that I cannot attach documents to the emails I send. If we had the ability to add attachments, I would be able to use the program even more than I do now, and that would be a huge plus! iContact is easy to use and is great at keeping lists of contacts. The scheduling feature is incredible useful as is the report generated after sending a communication out. It would be even better if iContact allowed for attachments to the emails. Using iContact allows us to relay time-sensitive information to our customers quickly and efficiently. We also enjoy the unsubscribe feature, as it allows our customers to manage the communications they receive. * We monitor all iContact reviews to prevent fraudulent reviews and keep review quality high. We do not post reviews by company employees or direct competitors. Validated reviews require the user to submit a screenshot of the product containing their user ID, in order to verify a user is an actual user of the product. Hi there! Are you looking to implement a solution like iContact?